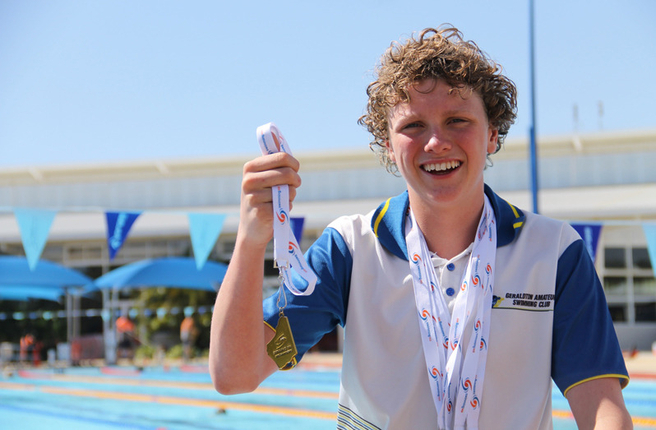 Congratulations to MWAS scholarship holder Flynn Scott who has been shortlisted for the Frank Osman Memorial Shield at the Swimming WA 2016 Swimmer of the Year Awards. The Frank Osman Memorial Shield is awarded to a 13 year old swimmer, either male or female, competing in 13 year old events, over the duration of the State Age LC Championships. Flynn had an excellent state championship and will be in the mix when the award is presented on 28 May at the State Function Centre. Flynn recently returned from his first national championships where illness robbed him of the chance to give his best. The disappointment has not dampened his spirit though and Flynn is back in the water looking for bigger and better in 2017.